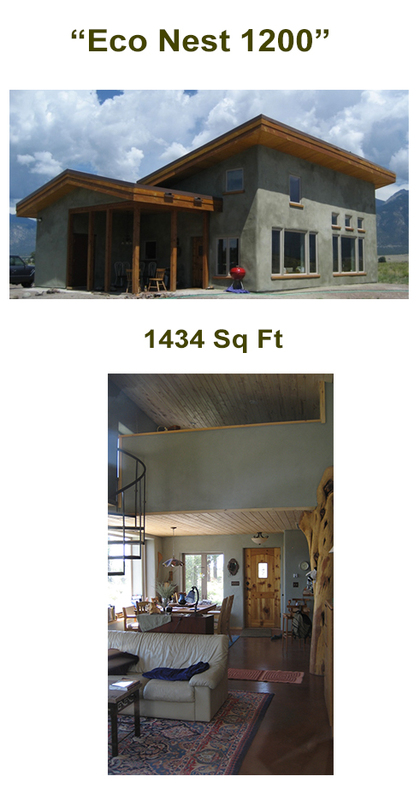 This 1434 sf home was designed specifically for an off grid building site. 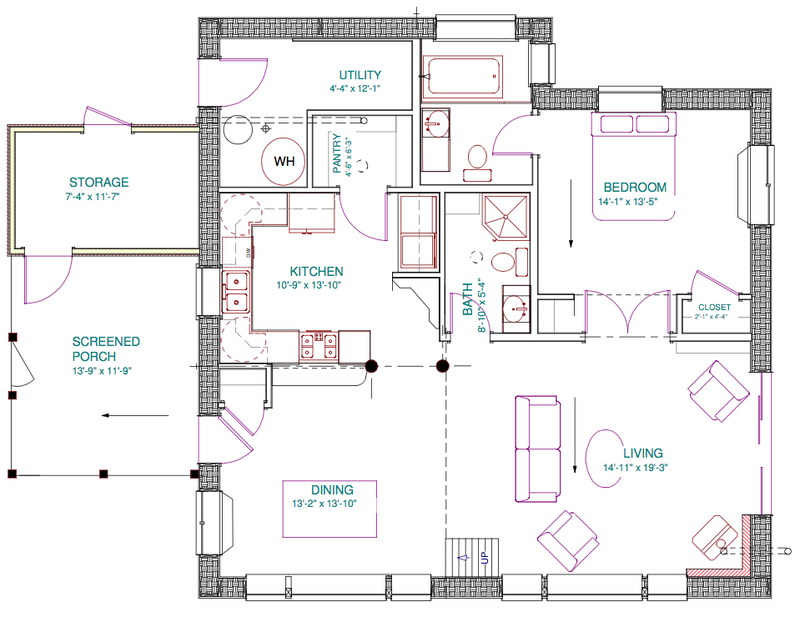 It’s floorplan allows all spaces to be easily heated by the solar gain or by the woodstove at night. The main bedroom has its own bathroom and there is a cozy sleeping loft above the dining area for guests. The screened porch expands the living area to encompass the outdoors and the storage room will hold the bikes and garden tools. A ‘living roof’ completes the greening of this unique eco-nest! 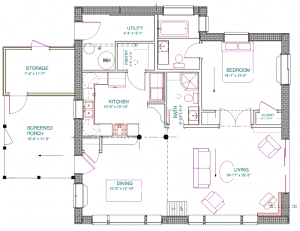 Great plan for a remote vacation getaway or full-time rural home.